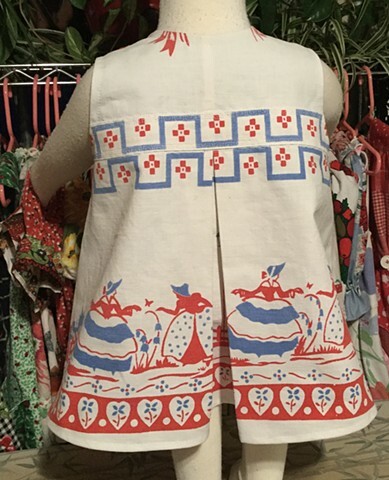 Vintage tablecloth showing old-timey characters in a red-white-and-blue pallet, but the real subject is the birdhouses hidden inside the front and back pleats. 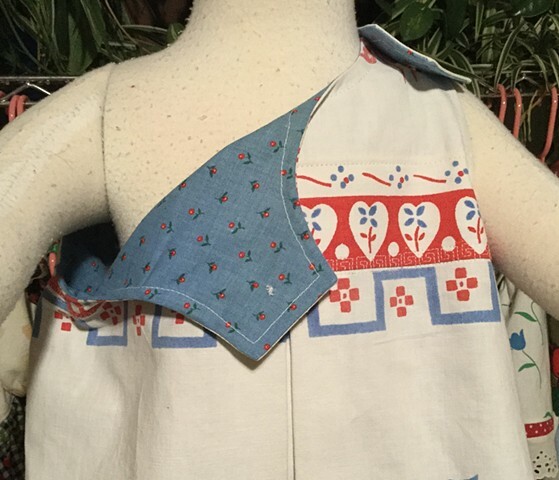 Buttons at shoulder with red buttons (look closely — there’s a surprise there too! ), generously flared skirt, faced in complimentary calico with tiny red flowers on a blue ground. 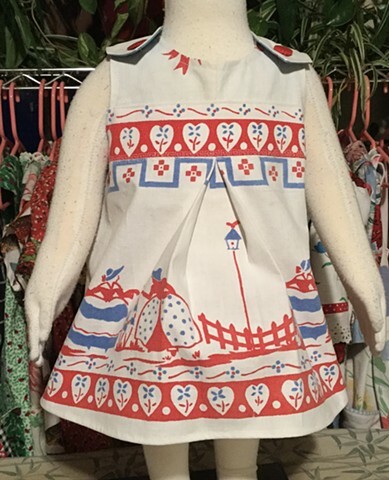 Size Toddler (1-2 years), measures 24” across chest, 15” shoulder to hem, $40, 100% cotton, made by the designer herself and shipped free to any address in the U.S.